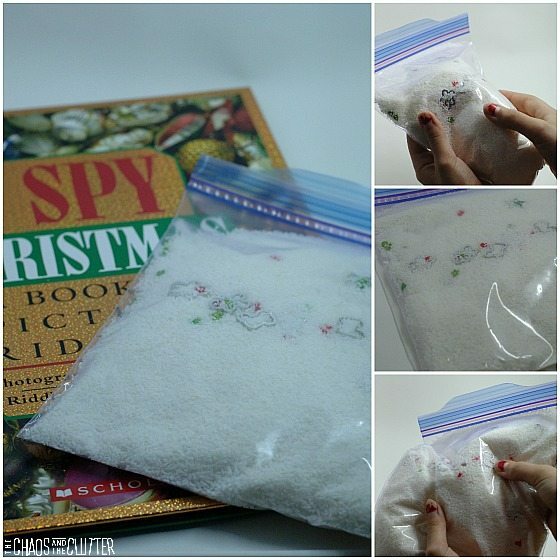 This simple Christmas sensory bag was literally made with items from my craft bin. 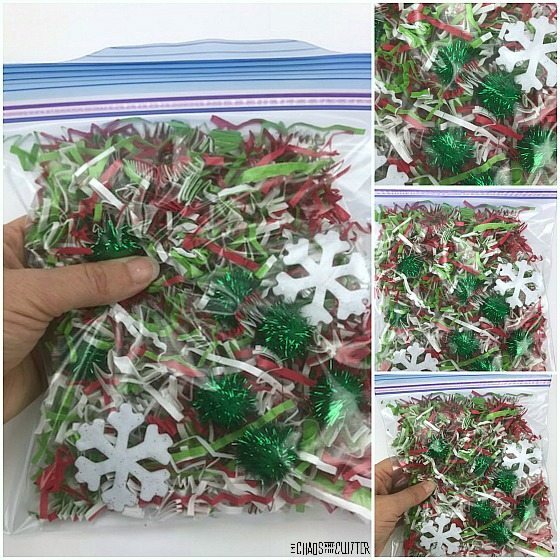 My daughter wanted a holiday themed sensory bag to include in her Christmas Calm Down Kit. I grabbed a medium sized resealable bag, threw in some things from the craft box, sealed it, and gave it to my daughter. It was so easy to make. What I like about this particular sensory bag is that it makes a scrunchy sound when you squish it. It also has a few different textures in the bag so it offers tactile, visual and auditory sensory experiences. 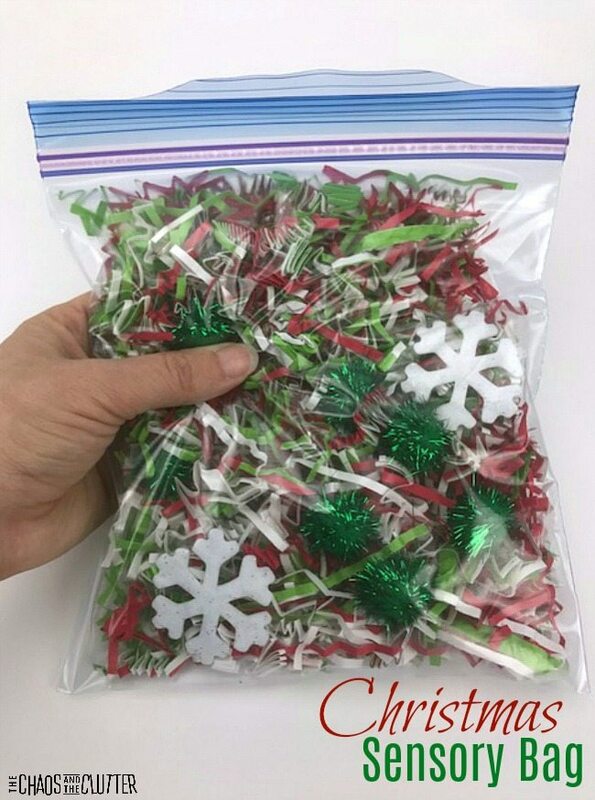 To assemble this Christmas sensory bag, open the resealable bag, fill it half to three quarters full with the coloured paper shreds and then add the other items. 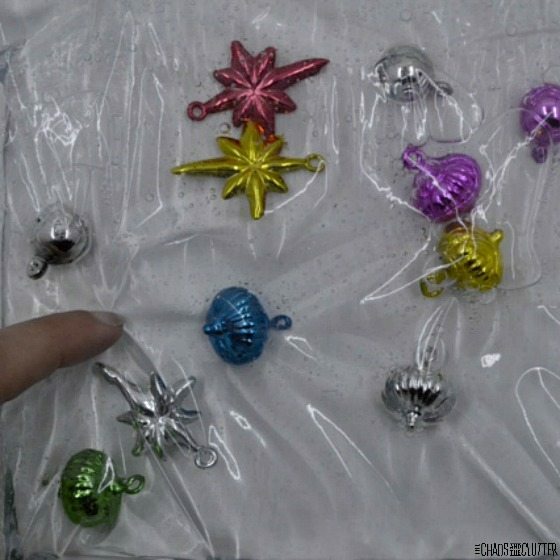 Remove the excess air from the bag and seal. 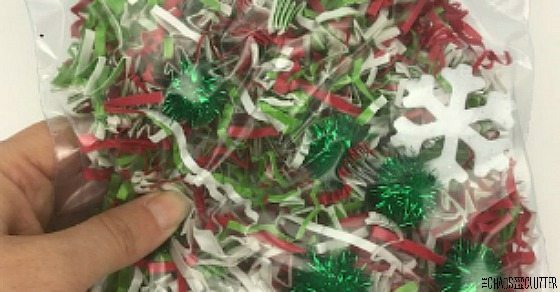 You could also add jingle bells, Christmas foam shapes, dry rice, red and green beads, pieces of holiday coloured pipe cleaner, scraps of tissue paper, or holiday confetti shapes. This is one of those projects where you can just rummage through your craft supplies and add anything. Depending on the age and ability of the child who is using this, you may want to use duct tape to firm up the seal so that they can’t open it and pull out the contents which could be choking hazards for younger kids. You can finds all kinds of Christmasy duct tape to make it look more festive. Of course, as with all sensory activities, adult supervision should be used. 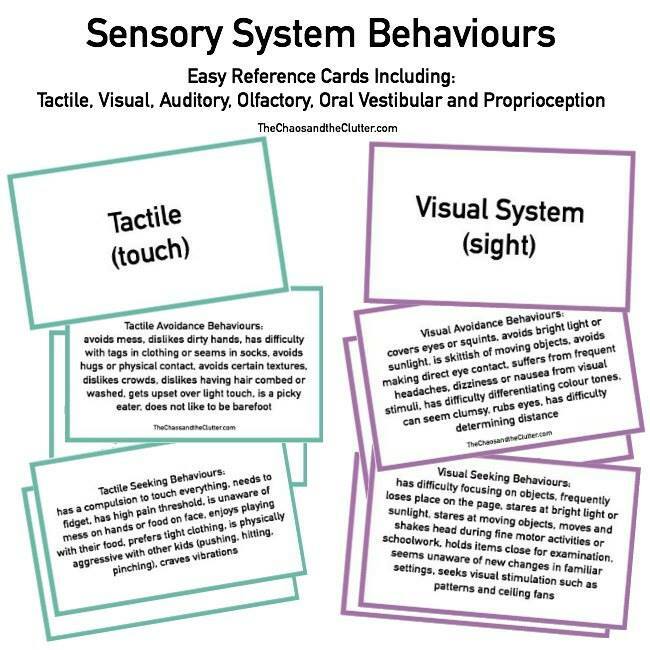 Get 175 sensory activity ideas in convenient printable lists which are ideal for using in the home, classroom or in a therapeutic setting.